Tragedy and Triumph in Brazil – Where Next? It is with very mixed emotions that I write this blog. So many things have made an impression on me these last few weeks in Brazil, not always great things and I was holding off from writing anything, since I was still searching for a positive angle to view them. There has been a huge corruption trial in Brazil these last few months. Many senators have been convicted of fraud on a massive scale, and their prison sentences have been years not months. But after just one or two days many are free, and in one instance on of those convicted invited journalists to his party where he celebrated with a bath of champagne. In another incident we watched on the news, someone in a local government position commandeered the one ambulance from their small town, and told the ambulance driver to drive many hundreds of miles to Brasilia to collect their luggage which had been left there. How many people were affected who needed that ambulance. Nothing as far as I know will have happened to the person who took the ambulance. In another tragic news item, in the city of São Luis an extraordinarily huge amount of brand new educational materials, books, uniforms, computers, sports equipment and clothing, furniture and even cars and school busses were found to have been abandoned and left to rot in a warehouse. If you click on the picture above it will take you to the clip from Globo News Em Pauta, who reported this on the evening news programme. Although you may not be able to follow the dialogue, you will soon see in pictures all of these vital resources which never reached the school children. If you continually watch the news over here, you soon come to realise that this is the daily reality for Brazilians. Although corruption is a way of life here, and not just at the very top of Brazilian political society, nothing prepares you for the utter shock and horror of what happened this weekend, when a fire broke out in a night club in Santa Maria, in the state of Rio Grande do Sul, when more than 230 young people between the ages of 16 and 30 died. At the time of writing around 80 more are in a critical medical condition in hospital. It is still too early to have a definite account of what happened, but what is clear is that the fire began when the band playing on stage set off some pyrotechnics. These appear to have set the sound proofing foam on the ceiling alight, causing a fire to spread rapidly. Many of the victims died from the toxic fumes from this foam. Problems were exacerbated due to there only being one fire exit. Witnesses have claimed that fire extinguishers did not work, and the security guards initially did not let people out, believing their cause to leave to be a fight inside the club. I thought lessons were or should’ve been learnt from the Station nightclub fire in the US in 2003. RIP. Who in their right mind would set off fireworks in a closed space like this? What has happened to the Health & Safety Regs in Brazil then? These will have to change before the Olympics of 2016. Absolutely no excuse for the authorities to have such poor fire regulations in such a busy place as a nightclub. Terrible news, RIP poor people. The Authorities need to review the licences of all similar Public establishments to make sure fire safety measures and escape provision is up to standards. Before I continue, I should also say that the Daily Mail from where these comments came from also published a video of the dead bodies on the street outside the club. At least many people complained that this was insensitive and should be removed from their site. If there is any common link between this tragedy and the events I first discussed in this article, it is a lack of both education and human values and ethics. Apparently Brazil has some of the most advanced and sophisticated health and safety regulations in the world, but this may come as a surprise to those who wonder if there are in fact none. Having regulations is one thing, but in a country where corruption is so rife, when there is an inspection, it is easy to pay off the inspector who will report no violations. Brazil as an emerging economy is now discovering that a chronic lack of investment in education is coming back to haunt it. Most Brazilians ask themselves where does there tax money go, since in many public areas investment is nowhere to be seen. If you look at public health in Brazil, private insurance is a must. So Brazilians pay tax for a health service which is not adequate, and then private health insurance for those who can afford it. But doctors in Brazil often do not make huge amounts of money from patients with insurance, and so will book appointments months away. So even if you pay for private insurance, it may turn out to be useless and you have pay that doctor again to be seen immediately. It is interesting what people notice when in a foreign country. My wife Maria and I were back in Scotland over Christmas, and she noticed two signs. One was on a quiet country road, and it said “Tree cutting”. A few hundred metres up by the side of the road a man was cutting a hedge, and the sign was to warn drivers of his parked car and potential loose foliage on the road. Another sign was at a classical music concert in Dumfries. It read “This performance contains a loud sound representing the firing of a gun.” It was to warn people in advance. To be honest in reality it was more of a pop than a bang, but someone had gone to the trouble to warning people just in case. It is interesting to watch road behaviour in Brazil, a country where the annual total of deaths is around 32,000 or 33,000 out of a population of 190 million. It is common to see cars tailgate other cars at high speed, while the car in front refuses to move out of their way. I have discussed the psychology of road behaviour and psychology of risk or otherwise here in terms of ego and social hierarchy, but I guess I have no proof of my hypotheses as to the root cause of this behaviour, partly of which of course does go back to education. Another related incident refers to the tragic death of a 14 year girl at an amusement park called Hopi Hari in the state of São Paulo. It is like the British Alton Towers. In this instance there was a ride called the Eiffel Tower, where you are taken up to the top of a tower in a seat, and this then drops vertically downwards. In this needless accident, those running the park already knew that one of the harnesses on one of the seats was broken, but in this instance they simply forgot to tell the girl not to sit in that particular seat. A couple of weeks after this incident thrill seeking families returned to the park with no thought of any continued risk to themselves, and the owners and managers were neither arrested nor convicted nor fined. (Reference Morte no Hopi Hari ocorreu por ‘série de falhas’, diz diretor do parque). I wrote the above this morning. Over lunch I have been wondering whether or not to publish it, as I do not want to be seen to be criticising Brazil, especially in this tragic time. I am trying to find a way to help educate the outside world about Brazil in a way in which the English press rarely seem to be able to, in order to find a positive way through. As I write I have just found a highly critical article in the Financial Times. For a country climbing the global economic league table and preparing to showcase its progress with the World Cup and the Olympic Games, the list of errors and failures that led to Saturday night’s fire make the worst kind of advertisement. There are idiots all over the world and it is hard to legislate against them. 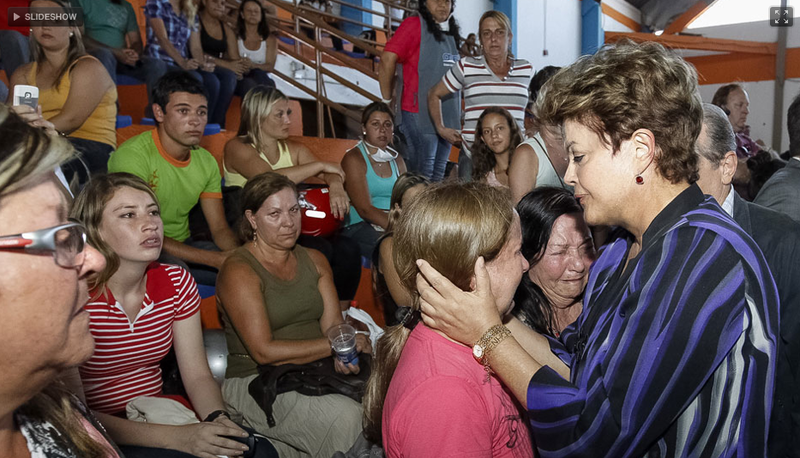 Until Saturday, Brazil hadn’t had a tragedy on this scale for more than half a century. The final sentence of this article is one I would wish to highlight. If the horrific events of the weekend result in more stringent application of its regulations, Brazil will have made more progress. This is very easy to write, but incredibly hard to actually solve. Anyone can write that Brazil should toughen up on its regulations, but as I have written above, the vast majority of senators do not appear to care one iota for the Brazilian people. In fact, those who have been convicted and are in prison know they will soon be free. As we speak they are organising their election campaigns from inside prison. Yes, this is correct. In Brazil, a spell in prison for serious convictions is not barrier to a return to politics at the highest level. This is the climate within those amazing Brazilians who do give a damn about their country are trying to operate. Is there anything us Brits can do to help? Let’s look at our Prime Minister David Cameron’s latest visit. 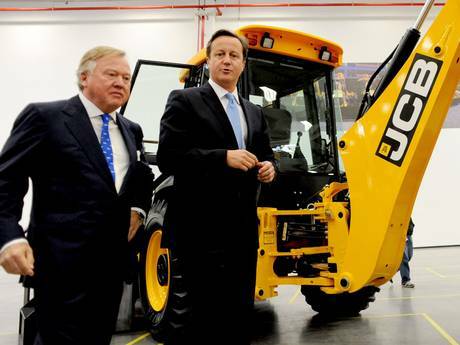 When Cameron came to Brazil last September, he popped in to open a new JCB factory in São Paulo. JCB is owned by Cameron’s good friend Sir Anthony Bamford who happened to donate £2 million to the Conservative Party via his firm. Sir Bamford, The Independent reported, is also “said to be in line for a peerage on the next House of Lords list.” (Reference IoS exclusive: Cameron in crony row over Brazil factory). Also during his trip to Brazil, Cameron met with President Dilma, and took with him “executives from six defence companies, including BAE Systems, as part of his delegation, to encourage sales of British military equipment.” The UK is brilliant at selling weapons to various countries, and it does not really matter if they are brutal dictatorships or not. (Just for the sake of clarity I am not calling Brazil a dictatorship, I am referring to the many other countries we Brits love to sell weapons to without any thought for human rights or the value of human lives). If you look at what Cameron said in Brazil, it was clear he was only interested in money, and not the people of Brazil, nor the complex problems faced here. And he is not a shining example of corrupt-free politics. I still do not know quite what to make of Dilma, but on being criticised by the British journal The Economist she said that she was elected by the Brazilian people and these are who will influence here and not a foreign magazine. (Reference Dilma diz que não vai demitir o ministro Guido Mantega). As with many things, Brazil comes in for a huge amount of criticism. Given that we brits are so excellent at our own PR, especially in terms of general superiority and claiming the moral high-ground in life, it is perhaps not too big a surprise that Brazil in general has a huge self-esteem issue, and this manifests in all aspects of life here, in sport, education, business, culture, you name it. I think now it is time for a massive dose of super-optimism, but before we start to see how to make inroads to Brazil’s own “wicked problems” we will stop for a short tune. I still remember Maria suggesting I listen to this tune some time back. Obviously it may or may not be your cup of tea, but my reaction went along the lines of “Oh my god, what the heck is this and why haven’t I heard it before?” The song was released in 1968 and heralded the musical and cultural movement called Tropicália, from which this track takes its name. To met it still sounds fresh and not dated at all. It seems that I am not alone in my reaction on discovering this rich mine of music from Brazil. In Beyond Ipanema, a recent documentary on the US’s recent love for Brazilian music, David Byrne, one of the major collaborator on the Red Hot and Rio series of compilations made the same point. He discovered Tom Zé, another highly experimental artist from the 1960s (but who is still active today) and said it was like being in some kind of parallel universe, where what was developing in the US scene at that time had already happened in Brazil. He also said he asked his Brazilian friends living in the US why they didn’t put Tom Zé albums on, and their answer to Byrne was telling. They answered “Why would we?” Their answer implied that they were embarrassed by Brazilian music and could not see how it could possibly be of interest to an American audience. This is sad. In the documentary Byrne says that he asked another friend “Is it only Brazilians who know about this? How could this be?” Much of the answer very much lies in the fact that many of these musicians were either in prison or being hounded by the dictatorship, and dictatorship who killed many young Brazilians, and who were funded and supported by the US government at the time. Maria has strong feelings about Brazil and how she feels for many years it was ostracised from the rest of the world. This is understandable, and people of my age had no education about Brazil at all at school. Things are changing slowly, especially as many people point out due to Brazil hosting both the World Cup in 2014 and Olympics in 2016. The Mutantes, another key band in the Tropicália scene asked themselves why all of a sudden in 2006 they were becoming popular in the US. Gilberto Gil answers that it is because that Tropicália raises questions and interest in politics and social issues, and perhaps with Tropicália being ahead of its time and the opening up of Brazil, perhaps the time is now for Brazil to do one of the things it does best, export its very amazing, rich and diverse culture. So where next then for Brazil? In this article I have tried to show how although Brazil has many many social problems, it does no good foreigners criticising Brazil with no knowledge of the culture or history here, since solutions which may work at home are very unlikely to succeed over here. Brazil really is emerging on to the world stage, but it really is a paradoxical and enigmatic country. In many instances consumer boycotts have proved extremely successful in the UK, for example readers telling advertisers of The News of the World newspaper that they would avoid their products if they continued to advertise. In this instance the newspaper had to close, following national disgust at their actions. But here in Brazil there is no tradition of collective protest, it simply is not in the national psyche. Any of us who do suggest this as a course of action have to know where the starting point is, and which suggestions are likely to work and which will not. An additional aspect of the national psyche here seems to me that while many Brazilians are proud of their country, the political class simply have no shame whatsoever. None. While those who love Brazil care greatly about outside criticism, this too is unlikely to be a major source of motivation to change, despite two major global events happening here soon. 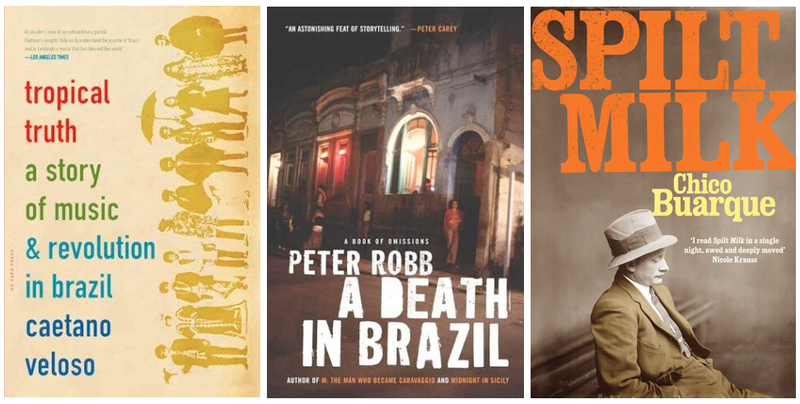 For those of you who are interested I think reading Tropical Truth by Caetano Veloso, A Death in Brazil by Peter Robb, and the novel Spilt Milk by Chico Buarque will provide a crash course and fast track to understanding the musical culture, politics and social culture of Brazil. Part of my reason for mentioning the documentary Beyond Ipanema is that I am currently watching a serialisation of it in Brazil, and it got me quite excited. Given Brazil’s chronic crisis in education, we need to look to our musicians, artists and writers to reach the population all our governments refuse or are unwilling to. It’s going to be a group effort. Those guys in their champagne baths and those who are planning their electorial campaigns from their luxury prison cells, they are the ones making decisions about the Amazon, they are the ones who you are entrusting yourself to when you visit this country, for sporting events, tourism or business. If we can just turn down the dial of criticism slightly, and maybe crank up the volume on education, collaboration and transition, maybe finding the one that goes to eleven, collectively I think we can make things better, and party till the cows come home.